Trending at C $49.86eBay determines this price through a machine-learned model of the product's sale prices within the last 90 days. Galette des rois set 2. rabbit chocolate tart 4. rabbit macron 5. afternoon tea set. Your understanding is appriciated! 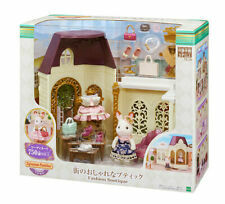 Sylvanian Families furniture dinner set over -409 (japan import). It is impossible to trace in Australia and Canada. It will arrive in 1-2 weeks. Trending at C $10.54eBay determines this price through a machine-learned model of the product's sale prices within the last 90 days. 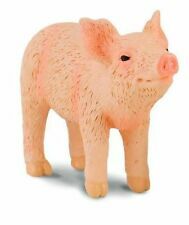 Sylvanian Families ToySrus Exclusive Nursery Friends Set newly released in July 2018. 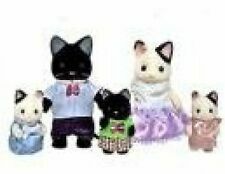 It includes 6 nursery children of Striped Cat, Koala, Silk Cat, Labrador, Bear and Dear. This set will surely liven up your nursery school. This action is for The Penguin Family from The Sylvanian Families. Sylvanian Families Hedgehog Secret House KO-65 Epoch Calico Critters. The house is designed in the motif of hedgehog. Hedgehog baby fit into a sleeping bag. About KobeeJapan. Sylvanian Families Island Kitchen. About KobeeJapan. The set includes: Bath, rack, towel, bath mat, hair band, bucket, basket, pajamas, shampoo, body soap, toys, lotion, powder, puff, sponge. Product . It will arrive in 1-4 weeks. Be careful. Write to us. Nothing is more important than your concerns and frustrations; we will do our endeavor to solve your issues. Trending at C $28.99eBay determines this price through a machine-learned model of the product's sale prices within the last 90 days. Sylvanian Families Pink Squirrel Twins. About KobeeJapan. Epoch (EPOCH). sparkling accessories is wearing the perfect fashionable dress in a nice town. Age: 3 years old. body size: 4.5x4x8.6cm. be careful. Country of manufacture: China. Write to us. Nothing is more important than your concerns and frustrations; we will do our endeavor to solve your issues. Sylvanian Families Fashion Play Set Town Girl Series Charcoal Cat Epoch Calico Critters. Your understanding is appriciated! We accept only unopened item. We do our best for you!! Li-ion Battery. Country of Manufacture. expedited worldwide EMS about 1 week yes. Delay and Lost Item. Material Handmade from Clay. My item arrive to you about 2-4 weeks. color As shown in images. Sylvanian Families Milk Rabbit Baby Ropeway Wood Playground KO-64 Epoch Calico Critters. The riding capacity of this ropeway is 1 baby. Sylvanian Families Fashion Play Set Town Girl Series Percian Cat Epoch Calico Critters. Your understanding is appriciated! You can look at the flowers off the bench, you can raise your water watering can. About KobeeJapan. Trending at C $27.68eBay determines this price through a machine-learned model of the product's sale prices within the last 90 days. 51 Pieces in Box. I am unsure of how old these are. They were sealed in the box when I retrieved them from an attic at a moving sale. My item arrive to you about 2-4 weeks. color As shown in images. Sylvanian Families Mouse Baby Twins. It was released in 1996. Calico Critters Sylvanian Families Tuxedo Cat Triplets BNIB SOO CUTE!! Calico Critters Brick Oven Bakery Play Set - FULL, UNOPENED, 40+ PIECE SET.